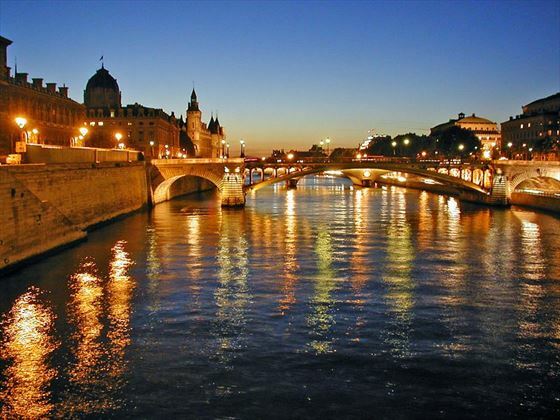 Your tour begins with a glorious sunset dinner cruise along the River Seine. Dine as you glide past the glittering landmarks of Paris. 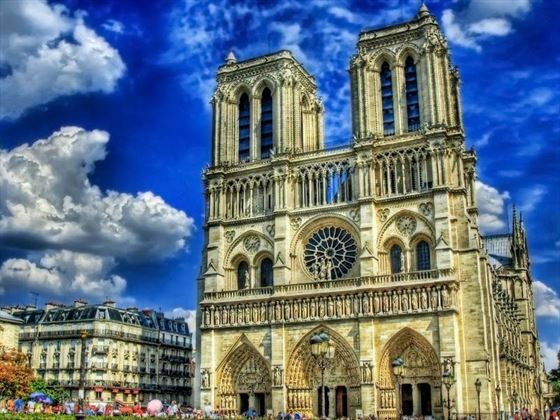 Enjoy a panoramic tour of Paris, as you admire the magnificent architecture of the Cathedral of Notre Dame, the Arc de Triomphe and the Place Vendome. 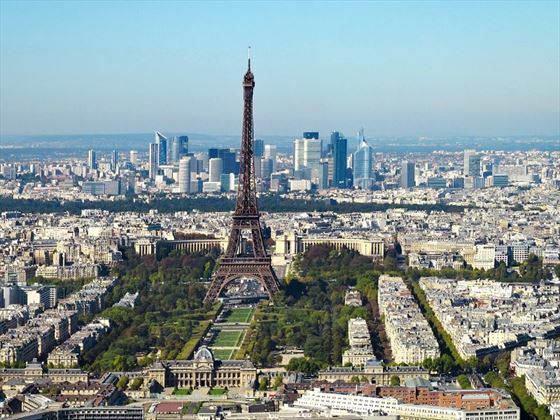 View the Place de la Concorde with its commanding obelisk from the tomb of Ramses II in Egypt and drive along the Champs Elysees – the grand avenue which hosts the Bastille Day parades and the final stage of the Tour de France cycle race. 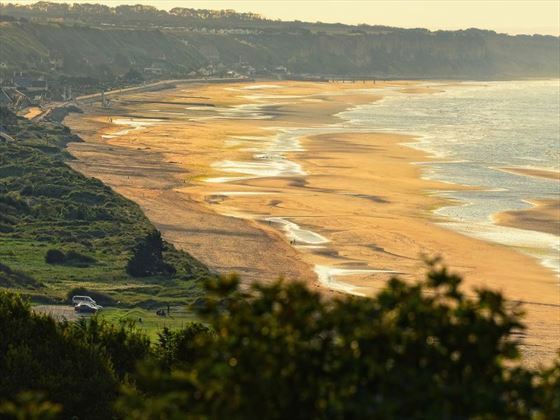 Leave Paris for the Normandy Coast, the setting for the largest invasion of history, the D-Day landings of the Second World War. 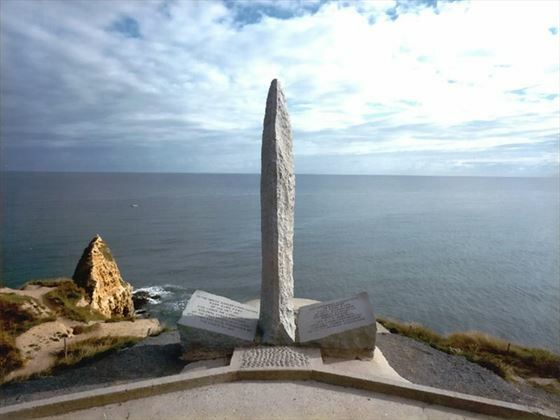 Visit the Memorial Peace Museum, built to commemorate those who died in the epic Battle of Normandy 1944. Then see the remains of the artificial Mulberry Port where the Allies supplied their lines during the liberation of France. Make the poignant trip to the Omaha Beach Cemetery where you will see the stars and stripes raised over the graves of the valiant soldiers who gave their lives and learn the personal stories in the visitor center. Then walk through la Pointe Du Hoc Ranger Memorial and see where the 2nd Ranger Battalion scaled 100-foot cliffs to seize the enemy position. Next visit Sainte Mere Eglise which was the heart of the American Airborne operations on D-Day, where you will visit its parachute-shaped Airborne Museum. 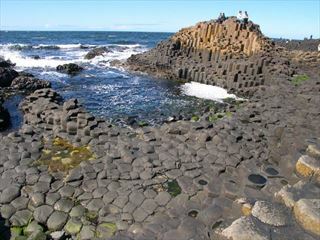 You will also visit the other landing beaches of Utah and Juno. 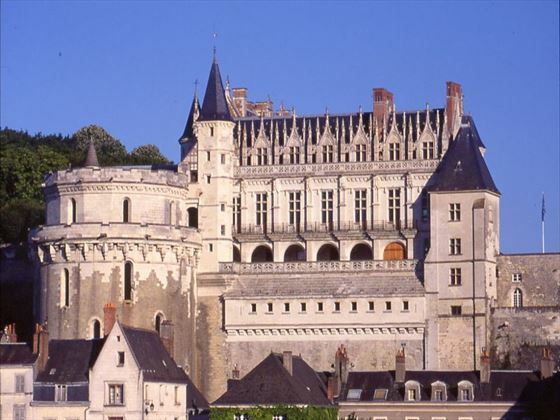 Travel southbound to the lovely Loire Valley, the setting for the French court in centuries gone by and filled with beautiful castles and parks. Visit the fairy-tale Chateau de Chenonceau which spans the River Cher, a Renaissance architectural gem with alluring formal gardens. Enjoy a traditional regional dinner in a local bistro in Blois. Begin the day with a tour of beautiful Chateau de Clos Luce, where Leonardo da Vinci spent his final years and which showcases a display of his early inventions. 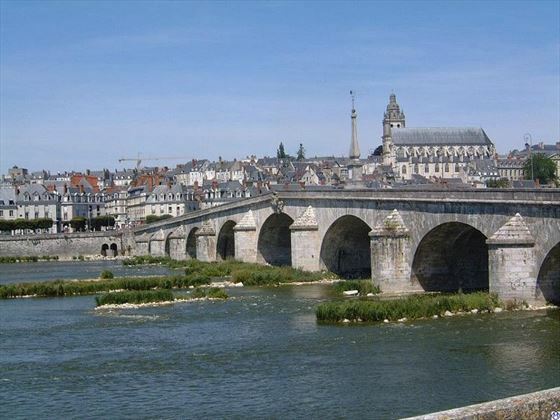 Continue to the picturesque town of Amboise where you will have leisure time to explore the narrow medieval streets in the shadow of the historic chateau. Then visit a Loire winery in the town of Vouvray where you will enjoy a tour and wine tasting. 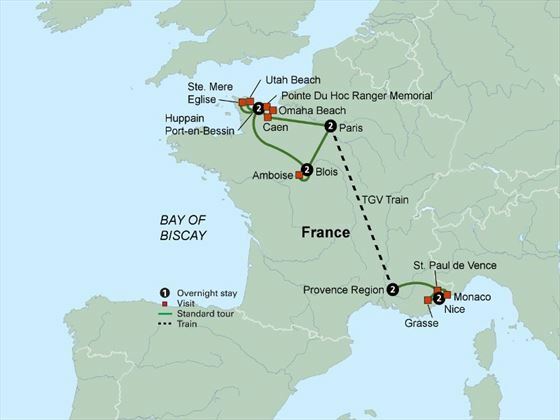 Return to Paris where you will climb aboard the high speed TGV train which will take you through the French countryside to Provence and the ancient town of Avignon. 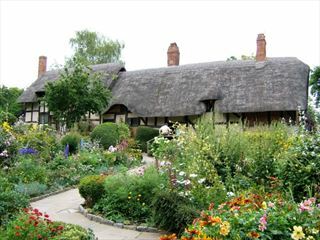 Enjoy free time to stroll the quaint cobble stone streets, browse the traditional shops and relax in one of the many town square cafes. 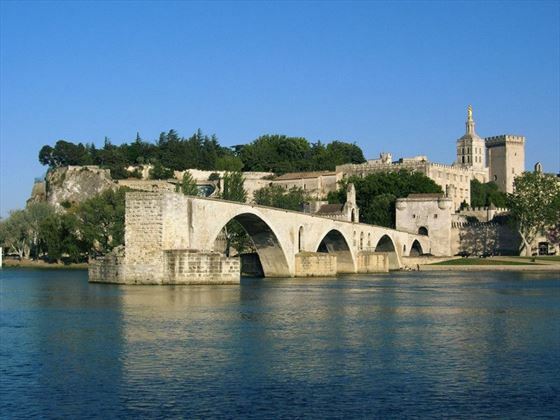 Discover more of delightful Avignon on a walking tour with a local expert. This ancient walled city was the center of European religion in the 14th century when it became the Papal home, and you will visit the Palais des Papes, the largest Gothic palace in the world. This was the residence of nine Popes and you will marvel at the scale and admire the priceless frescoes. You have the afternoon at leisure to continue to explore fascinating and charming Avignon. Travel to the delightful historic walled town perched on a hilltop of St Paul de Vence, a place that inspired Chagall and is still an artistic center. Then continue to Grasse – considered to be the world capital of perfume. Here you will discover the secrets of perfume making from extraction to distillation at a famous parfumerie. Then travel to Nice on the French Riviera where you will spend the final two nights of your tour. Enjoy a morning walk through the beautiful Flower Market in Nice, on to the appealing Place Massena and along the lively seafront Promenade des Anglais. Take the short trip to the glamorous principality of Monaco, where you will experience a tour highlighting the famous Casino of Monte Carlo, the 13th century Prince’s Palace and the Cathedral of Monaco, where Prince Rainier III and Princess Grace are buried. Return to Nice where you will enjoy a farewell dinner with your fellow travellers at a traditional local restaurant. 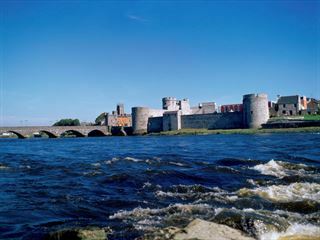 With offices in Florida, UK and Ireland, we have the experience and resources to provide you with the very best vacation, partnering only with the most reputable coach operators to ensure you have a truly great touring experience.